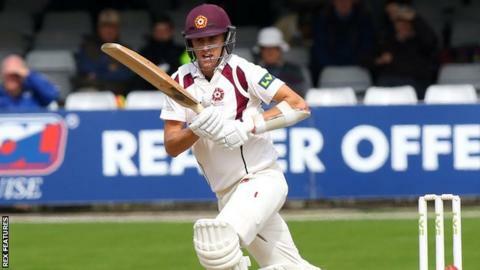 The bat continued to dominate as Northamptonshire and Kent's bowlers struggled to make an impact. Northants rocketed through the morning session, scoring 160 runs in just 29 overs, before Adam Rossington (78) fell after lunch. Olly Stone (60) registered his highest first-class score as his record 10th-wicket stand with Monty Panesar pushed Northants to 498. Panesar dismissed Tom Latham (24) but Kent closed on 88-1, trailing by 14.